The Cosmo SLR is a modern marvel. Downtown, uptown, and everywhere in between, when looks matter, it’s your style. Mix and match with modern décor with your choice of front options in five rich finishes. Accent the firebox with glass, in four cool colors to warm up your flame. 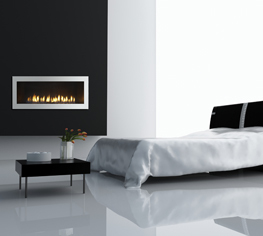 A fireplace so cool, it’s hot and highly efficient at setting the mood.